A visit of the Rostock DredgDikes research dike was orgainised on Saturday, 4 June 2016. 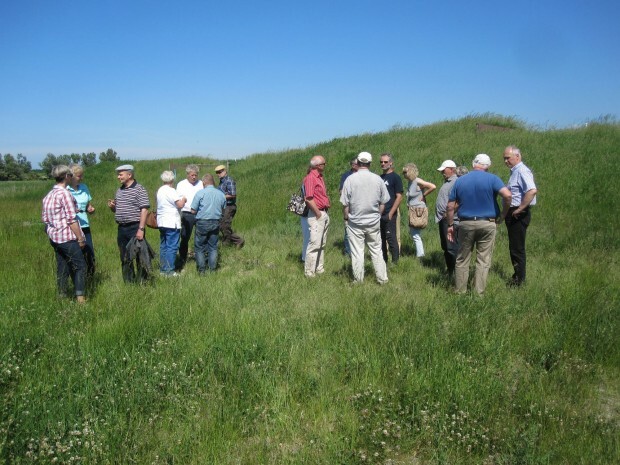 A group of 25 melioration engineers (former students of Melioration Engineering at the University of Rostock) used their 40th seminar group anniversary meeting to visit the research dike. There was great interest in the investigations and the alternative dike construction materials with good discussions on the topic. The DredgDikes consortium would be happy to host interested groups to further discuss the issue of dredged material in dike construction.